Our overview of how VAT works, when you might need to (or choose to) become VAT-registered and what your obligations will be if you do. While nobody likes paying income tax, the right approach to your tax return will minimise aggravation and can reduce the amount you end up paying. Effective planning can minimise your liability for capital gains tax by taking advantage of available allowances and reliefs. We explain your options. If you have employees, you'll almost certainly be required to operate PAYE to collect income tax and NI contributions. Our guide to the basics. Corporation tax is charged on taxable profits including trading profits and most investment profits as well as capital gains. What you need to be aware of. Taking on a first employee is a big step for any business. This e-tutorial from HMRC will take you through the process of becoming an employer. Personal and business capital gains are treated differently, depending on whether you are self-employed or trade as a limited company. Company capital gains tax can be reduced, deferred or eliminated altogether by making use of available allowances, reliefs and exemptions. All incorporated companies need to pay corporation tax on their profits. Our guide to calculating, paying and minimising corporation tax. All active UK limited companies (and some dormant ones) must file corporation tax returns, typically, every year: file yours properly and on time. Employee benefits can be complicated. You need to ensure that your payroll systems deal with employee benefits properly and report in real time. Pay is an important issue for you and your employees. Incentive pay can form a key part of that offer if you get your incentive pay scheme right. You are legally obliged to operate PAYE for any employee with an income above the lower earnings limit. HMRC expect you to file pay information accurately and on time - and employees also won't be happy if they aren't paid correctly. Managing payroll. Find out about how RTI penalties could apply to your business, depending on how many people you employ in each PAYE scheme, in this HMRC factsheet. Knowing income tax amounts and payment dates will help you plan your cash flow and arrange financing. Your income tax allowances include allowable expenses which you can set against your taxable profits as well as the personal income tax allowance. 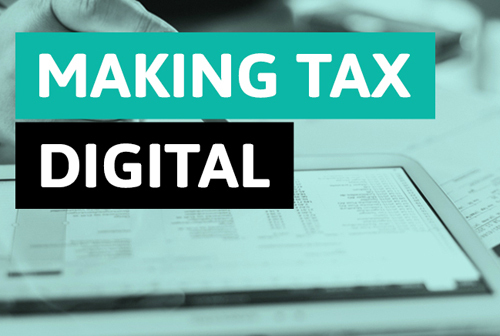 As well as ensuring you comply with your legal obligations under the "Making Tax Digital" initiative, maintaining accurate, current VAT records makes it easy to get the VAT you paid back. It can be easy to make mistakes with VAT - and ignorance is no defence. 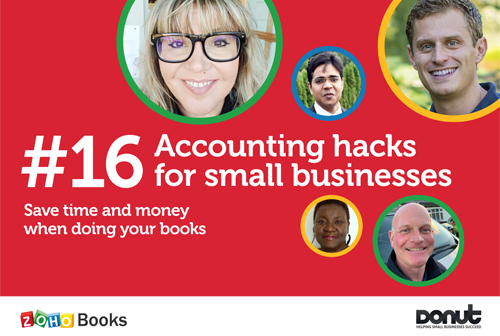 Here's our guide to some of the possible pitfalls and how to avoid them. It's worth understanding the different ways in which the annual investment allowance, other capital allowances and allowable expenses are treated. Private residence relief allows most homeowners to sell their homes without being liable for any capital gains tax on property profits. The VAT return summarises your sales and purchases and the VAT relating to them. All the information you need should be in your VAT records. This toolkit provides guidance to tax advisers and those completing a SA tax return on the common errors in relation to Capital Gains Tax for shares. Employers could be missing out if they don’t take advantage of key tax breaks. Find out if your small firm could benefit from tax reliefs. VAT accounting schemes can make your life easier, simplifying your VAT accounting and in some cases improve your cash flow. The best calculators we've found online, many of which come from official sources such as HMRC and the Valuation Office and are continuously updated. If you register for VAT with HM Revenue & Customs (HMRC), you must charge VAT on any goods and services you sell that are subject to VAT. A corporation tax calculator can help you estimate your corporation tax liabilities, but corporation tax calculations can be complex. If your company is liable for corporation tax, you need to keep adequate records to complete your company tax return. Here's a good HMRC guide. You need to ensure you are complying with any sector tax obligations. At the same time, there may be opportunities to reduce your tax costs. Every worker has a tax code issued by HMRC. But what are they for and how do you know if yours is correct? We answer key questions about tax codes. Two income tax schemes, 'Cash Basis' and 'Simplified Expenses', are designed to make it easier for SMEs to manage their income tax obligations. Company cars can be a popular employee benefit - but employers need to be aware of the tax implications of different vehicles. Our guide. The rules on the taxation of dividend income have changed. Use this HM Revenue & Customs guide to find out how you are affected. Visit the HMRC website for guidance and tools to help you understand what to do when paying an employee for the first time under the RTI system. National, regional and other grants that support research and development and what they cover. How to apply for a research and development grant. Knowing the important deadlines in the tax year will help you to prepare and send off the main forms in good time. If you think you paid too much tax in a previous tax year, use this HMRC tool to claim a tax rebate. The Construction Industry Scheme (CIS) affects businesses involved in construction and some businesses which spend large amounts on construction. It is possible to make quite a bit of money selling your old stuff on eBay or at a car boot sale. But where do HM Revenue and Customs draw the line? This calculator can help employees decide if it’s worth continuing to take childcare vouchers or if alternative help is available. Do you have a second income? If you earn income from sources other than through your employer, you may be classed as being both employed and self employed. When a company car or van or fuel for private use is made available to an employee, there is deemed to be a benefit in kind, ie you pay tax on it. You can visit the HMRC website to use a handy online tool to check whether employees have paid too much income tax under the PAYE scheme. This fast, simple tool from the GOV.UK website helps you work out what maternity, paternity or adoption leave and pay your employee is entitled to. Use this Tool to find out how you can pay any VAT owing to HM Revenue & Customs. To ensure payslips show the right information, including tax and NI deductions, visit the UK Tax Calculators website to use an online payslip checker. VAT-registered businesses charge VAT on sales of goods and services. Use this tool to find the correct VAT rate you must charge and pay to HMRC. This toolkit is designed to help anyone completing a Company Tax Return avoid the common errors relating to directors' loan accounts.